This Nemmers Prize is awarded for achievement and work of lasting significance in the field of economics. In particular, the prize recognizes major contributions to new knowledge or the development of significant new modes of analysis. The prize is currently $200,000. Recipients are selected in even-numbered years, and as a condition of the award, spend several weeks in residence at Northwestern University interacting with students and faculty. Seminars and conferences are often held in conjunction with their visits. For his work in game theory, decision theory, and finance profoundly shaped the direction of economic research by providing rigorous foundations and inspirations for new models in applied and theoretical economics. 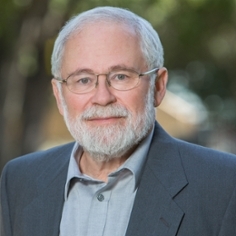 David Kreps joined the faculty of the Graduate School of Business in 1975, after completing a PhD in Operations Research in the Stanford School of Engineering. He has been a full professor since 1980, and today is the Adams Distinguished Professor of Management, with a courtesy appointment in the Department of Economics. From 2000 to 2009, he served as Senior Associate Dean. Professor Kreps has been recognized for his research as a Fellow of the Econometric Society, a Fellow of the American Academy of Arts and Sciences, a member of the National Academy of Sciences, a Guggenheim Foundation Fellowship, and with an honorary doctorate from Universite Paris IX. In 1989, he was awarded the John Bates Clark Medal by the American Economic Association (see https://www.aeaweb.org/about-aea/honors-awards/bates-clark/david-kreps). In 2007, he received the CME Group/MSRI Prize in Innovative Quantitative Applications. In 2010 he was elected a Distinguished Fellow of the American Economic Association (see https://www.aeaweb.org/about-aea/honors-awards/distinguished-fellows/david-kreps). This year (2018), he, along with colleagues Paul Milgrom and Robert Wilson, won the John J. Carty Award for the Advancement of Science, given by the National Academy of Sciences (see http://www.nasonline.org/programs/awards/2018/Kreps-Milgrom-Wilson.html). His 1989 Clarendon Lectures, Game Theory and Economic Modelling, have been translated into at least eight languages. Professor Kreps has taught MBA and doctoral level courses in decision theory, microeconomics, statistics, operations, competitive strategy, game theory, and human resource management. He is the author or coauthor of four textbooks. In 1991, he was awarded the MBA Distinguished Teaching Award. In 2010 he was awarded the Robert T. Davis Faculty Award for his service to Stanford GSB. Away from work, Professor Kreps enjoys cooking and coaching youth sports. His three children think he has a lame sense of humor, of which this sentence is probably a good example.